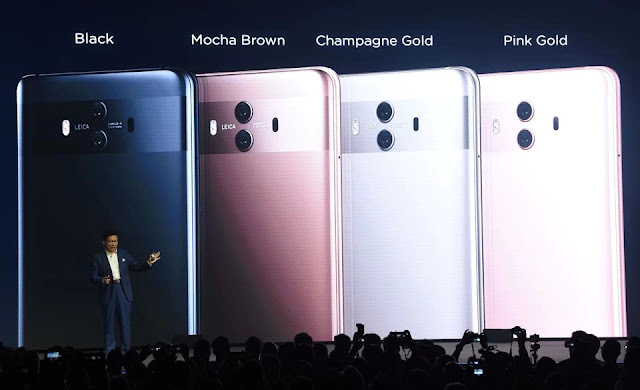 Richard Yu, CEO of Chinese Huawei Consumer Business Group, presents the new Huawei Mate 10 high-end smartphone in Munich, southern Germany, on October 16, 2017. Chinese technology group Huawei is catching up fast with Apple, Google and Samsung in the field of machine learning and Artificial Intelligence on the mobile platform. The company on Monday launched its latest flagship smartphone, Mate 10, which comes with top-of-the-line specifications and chipset-level machine learning features. Ideally, AI can help shift such everyday tinkering into the background, saving people time and minimising annoyance.